Brakes International are wholesale distributors of friction and hydraulic braking and clutch hydraulic components for cars and light commercial vehicles. Our comprehensive product range is sourced from the world's original equipment manufacturers and top-quality aftermarket producers. 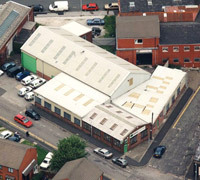 Established in 1989, the company operates throughout the United Kingdom. Our unique data cataloguing system ensures your enquiries and orders are handled with total accuracy and maximum efficiency. We carry massive stocks and provide next-working-day delivery throughout the UK. We now deliver throughout Europe. Mainland UK – Next working day from £4.99, Before Noon £8.95 or small parts £2.50 by post. We can text you with an hour delivery window, so you don't have to stay in all day. (not post). Belgium, Germany, France, Ireland, Luxembourg, Netherlands and France from £8.29 (Normally takes 2 working days for parts to arrive) Deliveries to other parts of the Eurozone take between 3-5 working days.